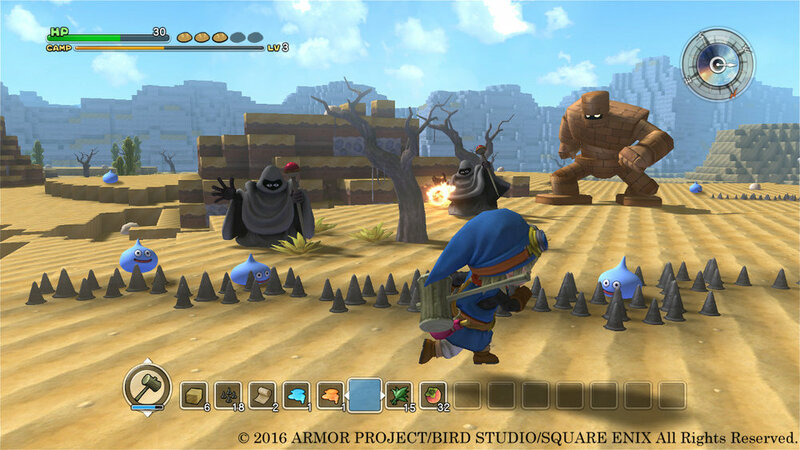 Dragon Quest Builders is a game that’s all about three things: collecting, crafting, building. You assume the role of the Builder; the one who is tasked with rebuilding the world of Alegard which has been plunged into darkness by the evil Dragonlord. In Alegard, the denizens roam the cloud-covered landscape, plagued by monsters and skeletons with no place to call home. In this world only you have the power to craft and build, which is what makes you able to help the many followers that you attract along the way. In a nutshell, there are 4 chapters in which you will start out with a shabby encampment and your role is to fortify each camp to ward against monster attacks. Additionally, the random people that arrive in your house want to live in a nice place, so you have to get your interior-design hat and work out where to put a brazier to really make the room “pop”. In order to achieve these goals you must explore your surroundings to gather the various materials needed and at the end of it all, a boss fight awaits. This game was a slow-starter for me. 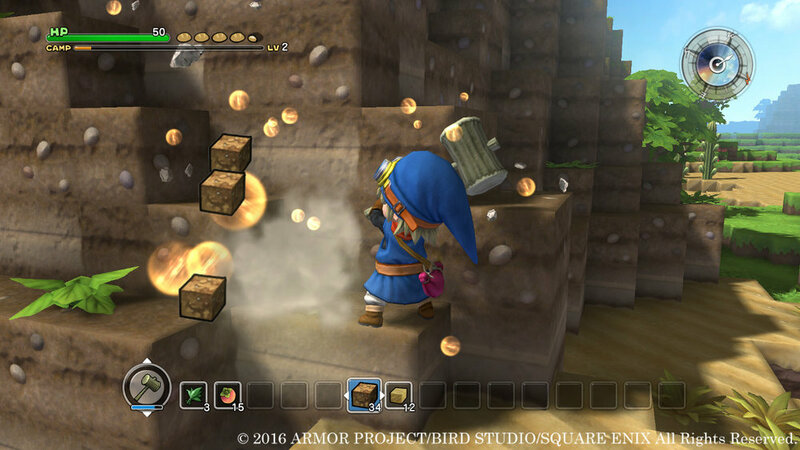 Having sunk an embarrassing amount of time into Minecraft (which I make no apology for) it was hard to shake certain expectations when entering DQB given the striking visual similarities. In spite of this however, DQB proved itself to be a very different game. From the outset, you’re limited in what you can do and build. The game controls your crafting progress through the quest chain that guides you through the overarching story. You start off small with healing salves and straw mattresses before progressing to create basic bedrooms, forges, kitchens and more. Camp creation in each chapter is restricted to one quadrant of land and while it’s possible to build anywhere in the game, you’re only granted points towards the camp’s level for what you create inside of it’s boundaries. Additionally, every room and decoration offers varying amount of points which unfortunately steers base design towards high-point options in order for you to progress (quests limit your progression if your base is not of a high enough level). I also found some issue with building vertically. Second-story rooms, corridors and stairwells were not being classified correctly by the game and as such went unused and unrewarded. Combat is almost always a rinse and repeat sequence of slash, evade, slash, evade. On occasion you will participate in a base defense quest where you and your companions defend against the Dragonlord’s armies. I found that simple, effective use of traps and fortifications made light work of what should be a challenging event in the game. In most cases, simply carving a chunk of turf out around the edge of my base and creating a mote of spikes would kill most creatures on it’s own. The larger ones required a little bit of kiting, but fortunately your companions do a good job of this for you. Boss fights at the end of each chapter require more effort as movements require slightly more thought and there’s a unique building mechanic employed to help overcome the boss. It strikes me as a missed opportunity that this game didn’t find other ways to incorporate world-building mechanics into the combat system to make it more dynamic though, the game necessarily stop you from using your imagine here either. Even though I loathe hand-holding in games, after enough time Stockholm Syndrome ensued and I could see past any of my grievances. I did feel genuinely proud of how my camps were turning out and equally frustrated any time a monster decided to break down a wall in one of my lovely rooms. Also to the game’s credit, the quest line is well designed. At no point in the game does the usually mundane task of farming materials ever feel like a chore and item/equipment progression curves naturally with the difficulty of each new area! 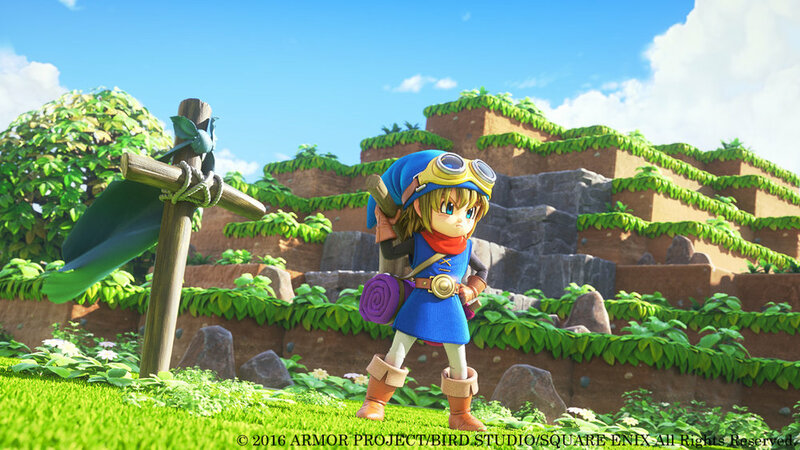 The simplicity of this game makes it ideal for kids, but I’d say that if you’re creatively inclined adult who enjoy games with framework and structure as opposed to limitless open-world “go for its”, Dragon Quest Builders is for you so pick it up!